Got Twins? Us too! This show is created by parents of twins FOR parents of twins from expecting times through the teenage years and everything in between. Just know that we are laughing WITH you every step of the way. Nat chats with Jenn Bauer, a single woman who decided to move forward with her life and fulfill her dream of having children, albeit without a partner. Jenn got pregnant with twins, who are now 7 months old and thriving. Jenn Bauer is a clinical social worker, working in the field of mental health for the past 13 years. After many years of putting her career on the forefront, she decided to make her family a priority. Well into her 30s, she still had not met “Mr. Right” and so decided that If she wanted a family of her own, she’d have to let go of her ‘Plan A’ and take matters into her own hands. At the age of 35, she underwent her first IUI and was surprised with a pregnancy with twins! Her boy/girl twins (Dominick and Lydia) are now 7 months old and thriving. When Jenn decided to take this path she knew raising a child on her own would be challenging - emotionally, physically, financially. But adding a second baby into the mix meant that she had to adjust her plan. This is not an easy feat for an admitted Type A who loves control. Not having a partner to share this responsibility with has definitely been hard, at times. However, she has learned how to use her existing circle, as well as create new circles, to help meet the needs of both herself and her little ones. Nat chats over lunch with Mallory Kerley about the challenges of being a full-time working mom of twins, who went back to work when her twins were 3-months-old. Nat chats with Karissa Hannigan, a twin mom from Sydney, Australia, about her really ordinary twin pregnancy, the care she received in her home country, and her twins club. Nat chats with her longtime friend Jen who, at this point, is truly an expert at moving house with young children. As a military wife of 4 kids (including twins), Jen has moved her entire family cross-country more than 5 times in less than 10 years. She shares some awesome tips on moving to a new house with kids in tow. Nat chats with Rebekah Robinson, a mom of twins +1 whose best friend carried her twins as a surrogate. They discuss infertility, surrogacy, breastfeeding, and more. Nat sits down with twin mom Leslie Marlatt to hear the story about the time her doctor forgot she was having twins. Nat chats with Kasee Bailey, a mom with a set of two-year-old fraternal twins with her second set of fraternal twins on the way. Nat and Audrey swap tips for buying in bulk, managing the minutia of large families, and dealing with the insanity of matching socks. Nat sits down with Will Nunziata, one half of the acclaimed musical duo Will & Anthony Nunziata, to talk about being an adult twin who has partnered with his twin brother for his career. Nat interviews Jane Goodrich, a fantastic family photographer, awesome mom, and a twin herself! Jane shares tons of great tips for taking great photos of your children with just a smartphone, and making sure your photos are safely stored and cherished for years to come. 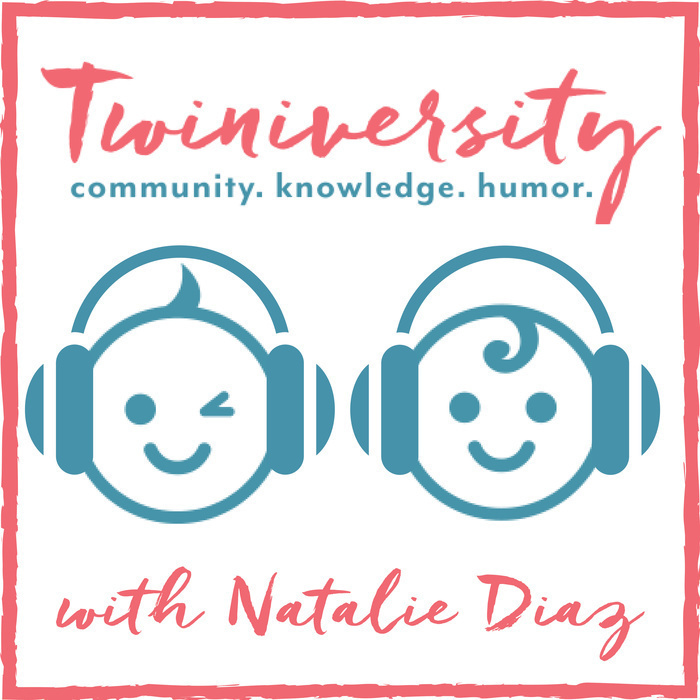 Nat talks with Kim Collins, a doula of 17+ years, to discuss what a doula does (prenatal vs. postpartum), why a doula can help you, and the benefits of having a doula with a twins pregnancy and postpartum.